I am SUPER excited today to blog about a new piece of technology I have in my music room...a Specdrums ring! I first learned about Specdrums from Katie Wonderly's awesome Instagram page. Then I found out that Amy Abbott had a ring coming, so I reached out to the Specdrums page and was able to get one for my classroom too! 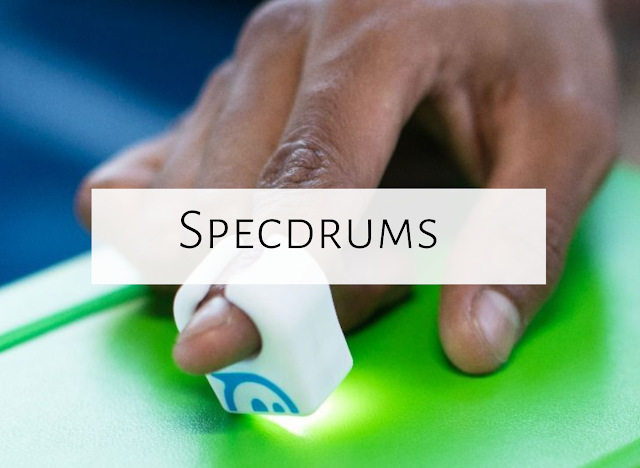 So what is a Specdrum ring? It is a ring that you can put on your finger, or students can put on their finger, and they can make music with it by touching different colors. So for example, if you touch red, it might play C, if you touch orange, it might play D, if you touch yellow, it might play E, etc.! You can create different tone sets in your app...the sky really is the limit! You can also make a tone set by selecting a color with your ring and then tapping the letter you want. So what might it look like to use it in your classroom? Have students decide which color they want for each solfa and make a tone set on the spot! Students get a tone ladder and songs in stick notation, and figure out how to play songs. Students work with solfa manipulatives (read more about them in this post); they can write a pattern with manipulatives and then play with the Specdrums ring! 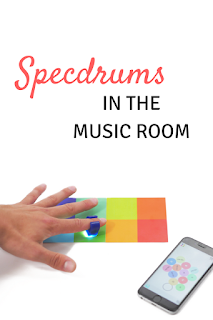 Students play a song on a barred instrument such as glockenspiel with mallets, with the bars marked with colored stickers, then do the same thing but with the Specdrums ring! Students create songs within a specific tone set. Like I said, there are SO many possibilities! Make sure to check out Amy's blog for videos of the ring in action! As I'm posting this, there is only ONE DAY left to donate to their kickstarter campaign! If you donate $39 or more, you'll be sent one Specdrums ring, and if you donate $74 or more, you get two! If you'd like 10, you can get them by pledging $349 or more. The rings will be delivered to you in January of 2018. Once I receive two more, I'll be posting again with more ideas for using the rings! If you already have one, please comment below with some ideas, or if you have any questions, please let me know by commenting below. 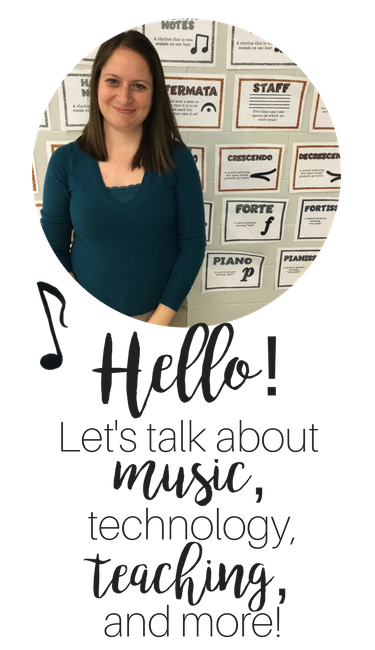 Amy and I have created this FB group for music educators with the rings to share ideas, so please join if you're interested. Have fun!